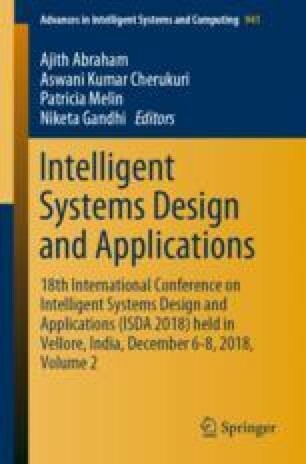 In this paper, a novel feature ranking criterion suitable for interval valued feature selection is proposed. The proposed criterion simulates the characteristics of the well known statistical criterion - chi-square in selecting the interval valued features effectively and hence called as Interval Chi-Square Score. Moreover, the paper also highlights the alternative approach proposed for computing the frequency of the distribution of interval valued data. For experimentation purpose, two standard benchmarking interval valued datasets are used with a suitable symbolic classifier for classification. The performance of the proposed ranking criterion is evaluated in terms of accuracy and the results are comparatively better than the contemporary interval valued feature selection methods. The author N Vinay Kumar acknowledges the Department of Science & Technology, Govt. of India for their financial support rendered in terms of DST-INSPIRE fellowship.